All lanes are clear on southbound U.S. Highway 101 at East Capitol Expressway in San Jose following a multi-vehicle collision early Sunday, according to California Highway Patrol officials. 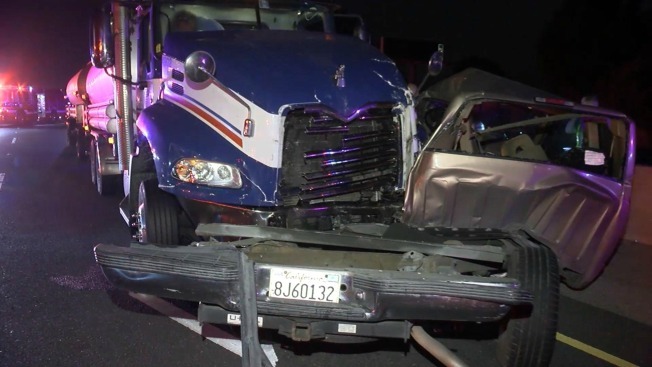 The collision, which ended up blocking two lanes of trafific, was first reported at 4:28 a.m. and involved four vehicles and a tanker truck, CHP officials said. No serious injuries were reported, according to the CHP. A Sig-alert was issued at 5:29 a.m. The Sig-alert was later canceled.